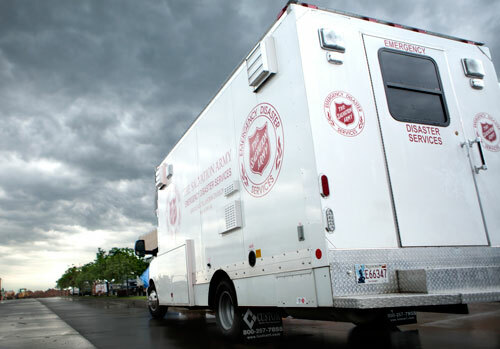 Thank you for your interest in The Salvation Army’s Emergency Disaster Services program. Our services are coordinated by divisional disaster directors who are responsible for managing disaster workers, disaster equipment and maintaining relationships with local emergency managers. To find the divisional disaster director for your area, select your location from the drop down menu.